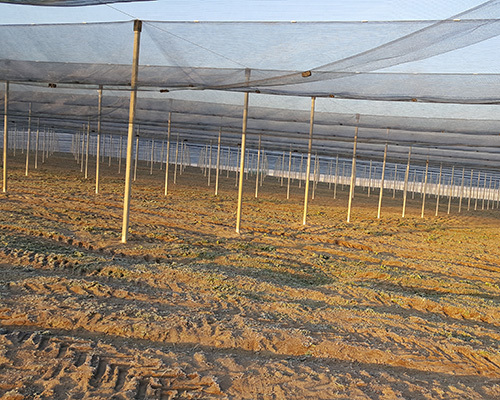 Thanks to the continuous improvement of quality, services and aesthetic appeal, we seek to be a leader in the production of prefabricated concrete poles for the installation of anti-hail nets. 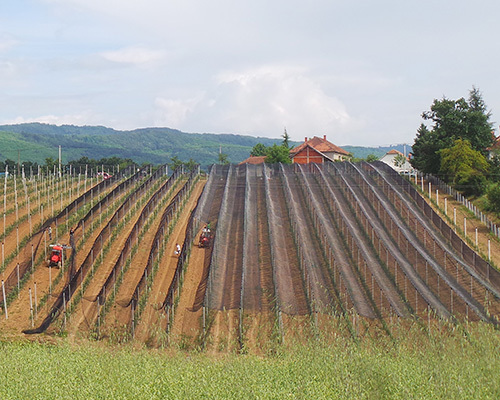 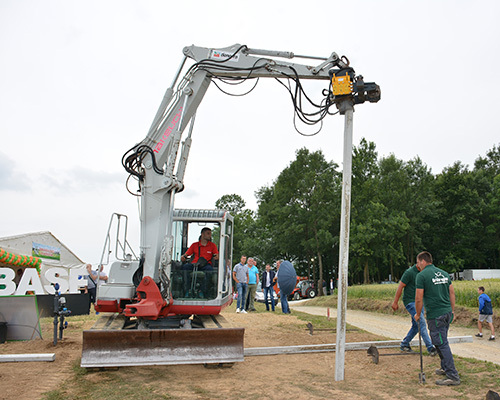 Our aim is to become the main point of reference for agricultural producers in Serbia and neighboring countries for securing orchards and vineyards. 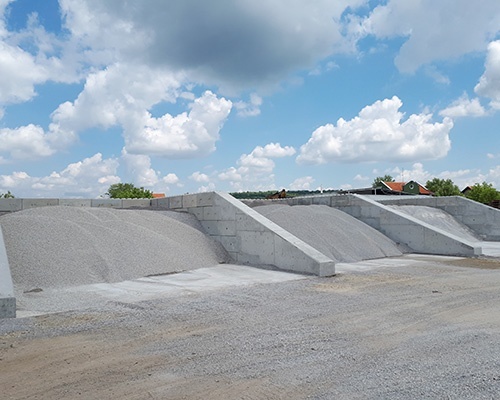 We seek to become a leader in the production concrete and prefabricated standard and prestressed concrete elements in the region. 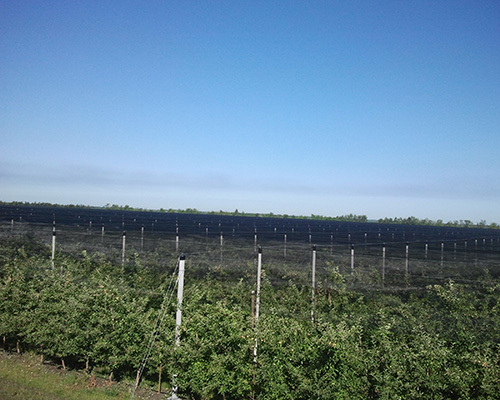 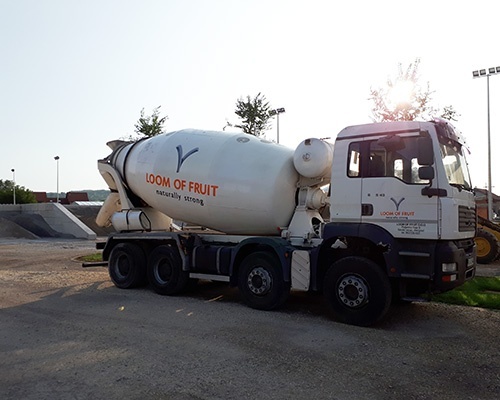 The company Loom Of Fruit has recently started operating in Serbia, in the region of Smederevska Palanka, in one of the main fruit production areas. 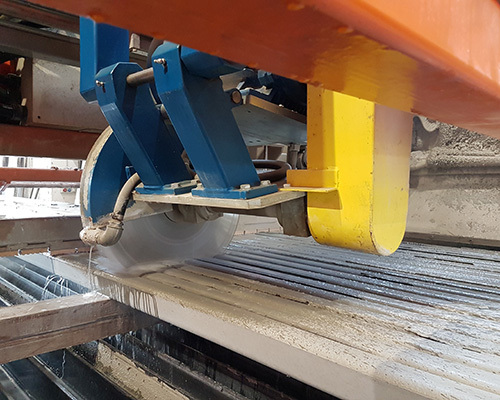 One of our strong points is the production of concrete directly on site that guarantees the highest quality of our products. 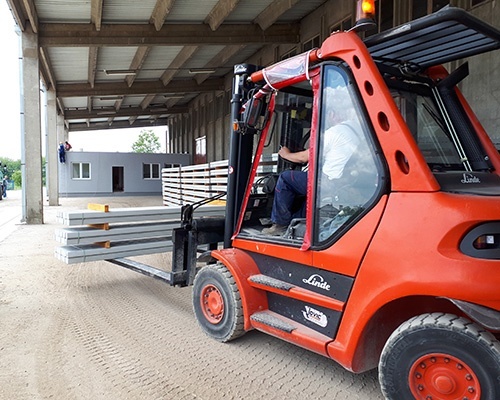 Our highly qualified staff is at your disposal to provide you with all the necessary support in regard to your every need. 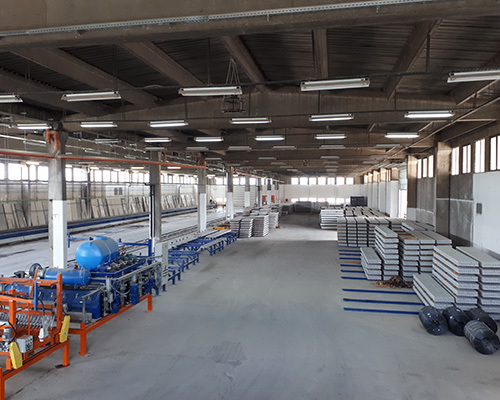 The factory covers over 16,000 square meters and has a modern production plant of 4,000 square meters and a laboratory for concrete analysis. 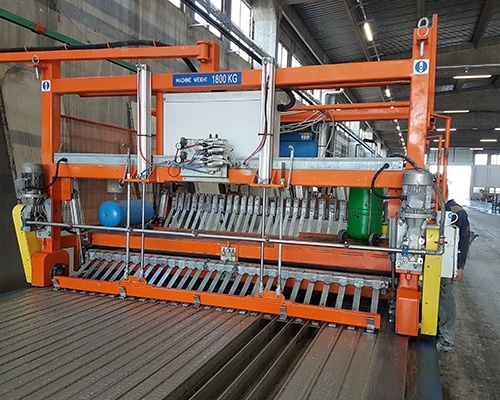 The machinery of the production lines, managed by qualified personnel, almost automatically performs the breaking up of the poles and the cutting with diamond blades, according to dimensions defined by customer needs. 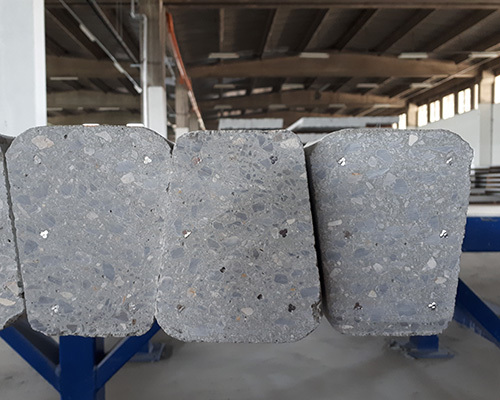 As an aggregate for concrete, we use only a selected, twice washed, a piece of rock with high-performance mechanical properties. 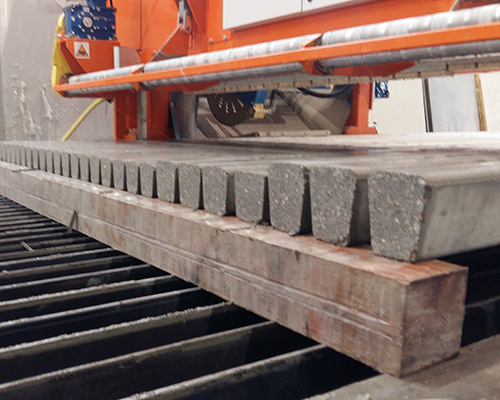 This allows us to obtain concrete of considerable hardness, both in the initial and final phase. 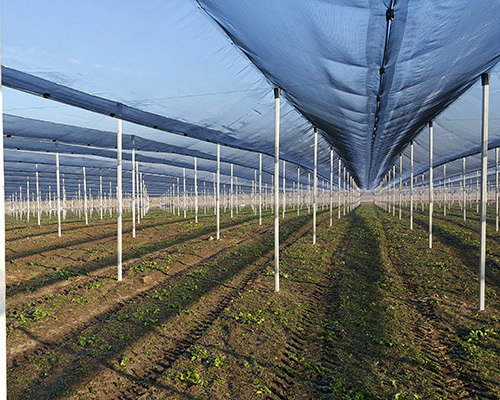 During the winter we have the possibility to heat the materials to maintain a high quality of the product in all seasons. 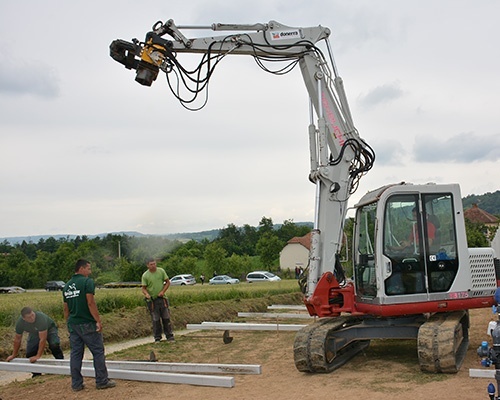 As a guarantee of quality, our production is controlled and guaranteed by the IMS (Serbian Institute for Materials), which has certified our poles and the concrete "recipes" that we use both in production and for sale. 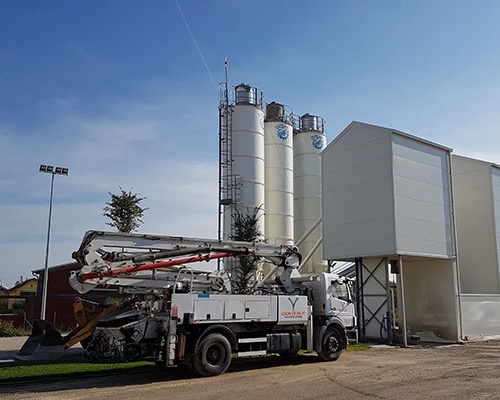 By producing concrete on site, we always guarantee the highest quality standards. 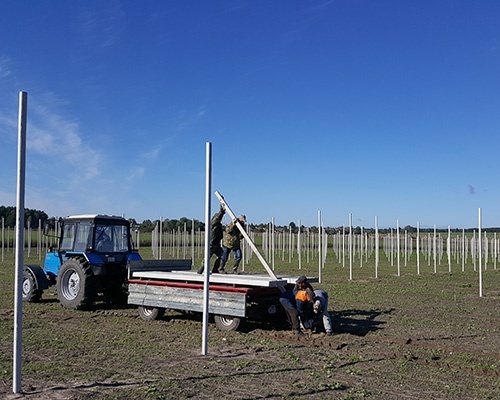 Our goal is to disseminate information on the importance of protecting orchards and vineyards so that agricultural producers can make the best choices, saving their time and money while ensuring quality and profits. 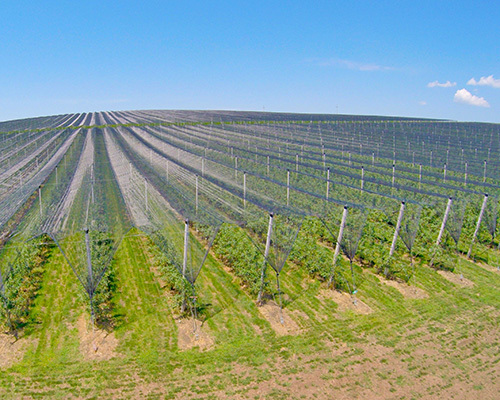 We constantly improve our production, invest in new technologies and protect our work environment to satisfy our customers.